The mother of Delyan Dobrev, lawmaker from the ruling party Citizens for European Development of Bulgaria (GERB) and former Energy Minister, his cousin Rositsa Gargova and a close friend – Evgeni Konsulov (Deputy Mayor of the southern city of Haskovo) have bought homes in newly constructed buildings in the capital Sofia at a price of EUR 270 per square meter. This is revealed by new research by Bivol in connection with the ApartmentGate series. The deals were made in 2016 – 2018. All the mentioned here persons are part of the so-called “Dream Team”, a name given by Dobrev, himself, after Bivol revealed that at least 100 million in public procurement went to a “constellation of companies” associated with Gargova’s family and Dobrev’s parents. 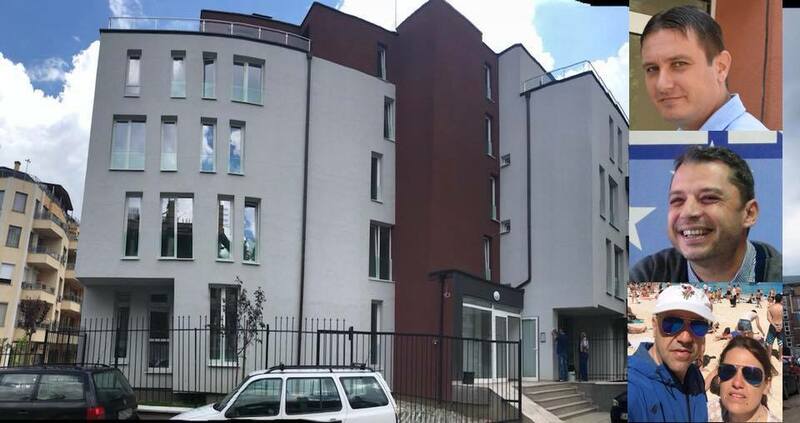 Evgeni Konsulov and his wife Kremena opened the property spectacle in Sofia of the people from Haskovo on September 29, 2016, when they bought two apartments on “Ivan Susanin Street” in the “Manastirski Livadi” district, where a new residential building had been built. The prices for these apartments are extremely profitable – BGN 41,115 for an apartment of 73 square meters or EUR 288 per square meter and an apartment of 56 square meters acquired for EUR 315 euro per square meter. Evgeni Konsulov is Deputy Mayor of Haskovo in charge of European and National Projects and Programs of the Haskovo Municipality. Konsulov is the son of Dr. Konsulova, a municipal councilor from GERB. He is seen as someone very close to Delyan Dobrev. From 2006 to 2008, both were on the Board of the Association “Agency to Support the Development of Small and Medium Businesses” registered in the Haskovo District Court. Konsulov and Dobrev have no direct kinship relation, but according to our sources, Dobrev is Konsulov’s best man. On the same day, Daniel Gargov, a municipal councilor from GERB in the Haskovo City Hall (Municipality) and Chairman of the Budget and Finance Committee finalized a purchase in the same building. He is the husband of Dobrev’s cousin Rositsa Gargova and co-owner of “Eco Tradex Group”. According to a study by Mediapool, the company is in the top three in building rehabilitation in Bulgaria. On national level, the company has won public procurement for over BGN 100 million. Rossitsa Gargova is the key post of Directorate “Finance and Accounting Activities and Budget” in the Haskovo Municipality (see here). Mediapool and Bivol made all these revelations in early 2017. For months, no national mainstream media reported on the topic. It was not until the end of 2017 that the opposition Bulgarian Socialist Party (BSP) saw the opportunity to trigger a conflict of interest scandal. Daniel Gargov hit the jackpot by buying a huge apartment of 284.44 square meters, another smaller one of 42 square meters and three garages of 17 square meters for BGN 201,900 or an average of EUR 273 per square meter. While the cousin’s husband had been building and refurbishing on a large scale through public procurement, Dobrev’s parents had exercised the construction control of his sites, an investigation by Bivol showed. That is why it is not strange that their close business relations have turned into real estate ones. At the end of June 2018, the building was completed and put into operation. At that moment, the “Dream Team” scandal had faded. The Konsulov family has clearly liked their properties in Sofia as they have kept them, completing them with a garage in February 2019. However, it seems that Daniel and Rositsa Gargovi have not been that happy with their acquisition. Several days before the first occupants entered into their newly built homes, Gargov sold the apartments and the garages to the company “Iconus”, which is the sole property of Delyan Dobrev’s mother – Zlatka Stoykova Dobreva. The price was already double – BGN 400,000 without VAT, but why not? The money stays in the family – the cousins make BGN 200,000 while “mom” reports a company expense. Gargov and Dobreva have agreed to installment payments – BGN 40,000 plus the entire VAT as a down payment and another nine equal annual installments of BGN 40,000. Currently, the second installment is not yet paid. Taking into account the growth of the property market in the next years, the deal is extremely profitable. From the notary deed, which Bivol possesses, it is clear that the tax assessment of the properties of Delyan Dobrev’s mother is BGN 387,000. However, they can be bought for the same price, but in euros. A check of other properties sold in 2018 by the same builder in the same building shows that the price of a square meter is about EUR 1,000. The current average price of properties in the area of “Manastirski Livadi” is the same, according to real estate sites. The fact that former GERB lawmaker and current energy boss Dian Chervenkondev has also bought extremely cheap apartments in the same building is another sign that the prices for Delyan Dobrev’s relatives are not accidental. Chervenkondev was Deputy Chairman of the Parliamentary Economic Committee in the first GERB government and worked closely with the Minister of Energy Delyan Dobrev. In 2015, when Delyan Dobrev was Chairman of the Parliamentary Energy Committee, Chervenkondev became Head of the Electricity Security Fund. On November 15, 2018, Chervenkondev’s daughter Slavyana Dianova Chervenkondeva, barely 20 years old, bought 40 square meters with a garage of 13 square meters for BGN 42,480 or about EUR 400 per square meter. On the same day, Dian and Stella Chervenkondevi bought an apartment of 64 square meters and a 29-square-meter garage for BGN 98,315 or nearly EUR 500 per square meter. These prices were no longer “off-plan” since the building was operational. For comparison, on May 15, 2018, another client of the same company paid BGN 193,000 for an apartment of 92 square meters – twice more than Chervenkondev’s family and four times more than the Haskovo “Dream Team”.